Faces, Vee Serrated. Specimen diameter range: 3.2 - 7.8 mm (0.125 in-0.3 in). 25 teeth per inch. Set of four faces. 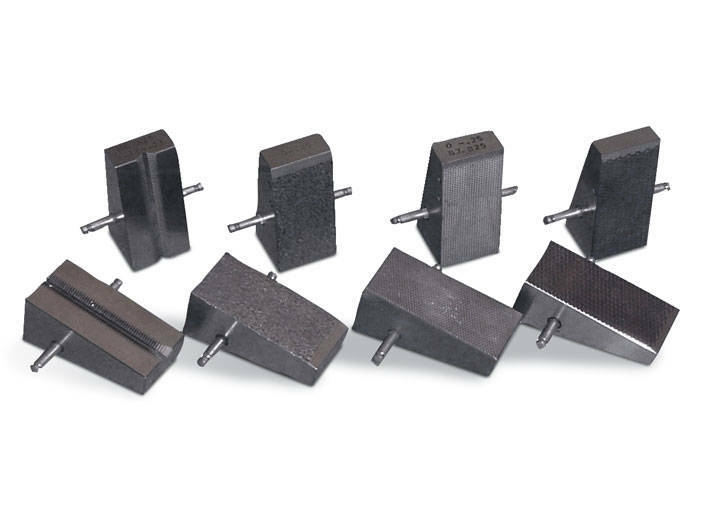 For 2716-010, 2716-015, 2716-020, and 2736-015 Wedge Action Grips.